I've been living with a roommate(s) since 2001. This year I finally moved into my own apartment. All.by.myself. Maaan, it feels good to walked around the apartment nakked and not deal with minor details like who left the the dishes in the sink overnight. 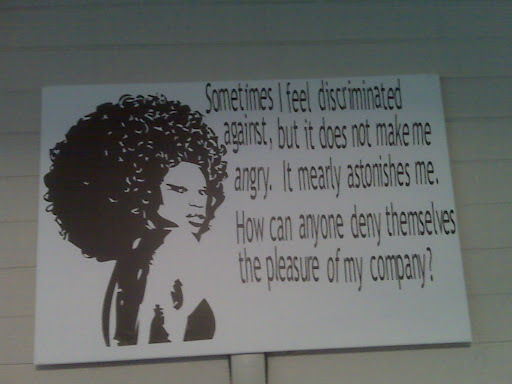 My favorite thing about Casa Jonez? This artwork I had custom made from Ten23designs. Hmmm, Regis, I'd like to phone a friend on this. Hello? Hello? Bun in the oven. My bestest friend in the whooole wiiiide world, Butta Baby gave birth to a beautiful baby girl, Nyla Angel last August. This is the same girl that always boasted: "I'm never having kids!" when we were growing up. Funny how the shoe is in the other foot. She has a babygirl and I'm a lifelong member of nobabies.com. If the stars are aligned, I'll meet this angel next week during New Year's. 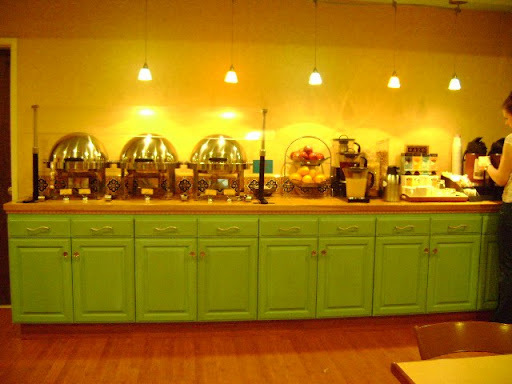 Tea of the year was found at this dining room in Hotel Zico, located in Mountain View, California. I cannot remember the brand name of the tea. It was a delicious combination of Jasmine and orange. Ever since I've left the hotel, I've searched all my local stores for the tea. While I cannot remember the brand name, I did remember what the logo and picture of the wrapper looked liked. I've yet to find it and now that more than a couple months has passed, my brain is kinda fuzzy on that picture image. Say it ain't so, I'm getting old! When New Year 2009 rolled around, the signature you found on the bottom of my blackberry emails said: "2009 My Year to Shine!" Hmmm.... I'd like a do over. This year I've stumbled into Teavana and my life changed. I'm a tea snob so I'm always on the look out for the next best flavor. The higher the caffeine content, the better. Prior to discovering Teavana, I've been spending my money on Republic of Tea. After my first sip of Mate Lemon Blast, I've have not looked back. My wallet hurts every time I step into that place. 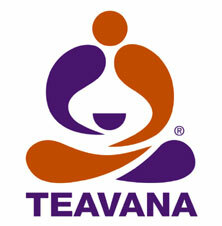 Due to recent budget constraints, I've not had a cup of Teavana in a month. A month! That.is.REALLY.bad! The best car ride? The ones where I'm knocked out asleep! I'm the manager of the Hotel Zico and I came across your blog. I would love to send you a box of the tea you requested. You can get a hold of me at bimal@conepthotelgroup.com. I hope you enjoyed your stay!